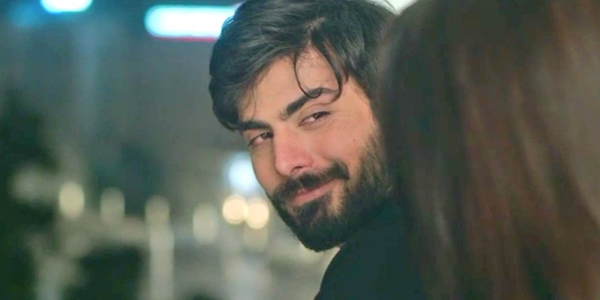 I read your open letter to Fawad Khan and it left me disturbed and also fairly amused. But before I spell out my reasons, let me just tell you that I am not a terror sympathizer. I hate all politicial parties. I hate Burhan Wani. My heart goes out to the families of soldiers who lost their lives in the recent attacks in Kashmir. Those soldiers didn’t deserve to die in such a horrible manner. And revenge must be taken. Telling Fawad to go back is not going to help us achieve anything. Allow me to explain why. Firstly, Pakistan comprises of a lot of elements – the army, the government, the aam junta, celebrities etc. If the government out there goes wrong (which it does fairly often), the celebrities and eminent figures shouldn’t be punished. Also, the government and the army out there won’t care two hoots if Fawad is kicked out of India. It won’t drill any sense in them. Soumyadipta ji, you want Fawad to condemn the terror sponsored by Pakistan. Do you think he’ll be spared if he does that? In Pakistan, even the ministers are not spared and have got assassinated in the past for going even slightly against the tide (Google for Shahbaz Bhatti for more). Fir Fawad kya cheez hai? Forget Pakistan, saying anything remotely critical about India or the happenings out here have landed our Bollywood superstars like Shah Rukh and Aamir Khan in trouble. And you expect a celebrity from a terrorist state like Pakistan to speak up? Also, this brings me to another important point – do you have the guts to condemn our government for goofing up with the Indo-Pak issue? Do you have the guts to write an open letter to Narendra Modi asking him as to what happened to his claims of ‘Pakistan ko ussi ke bhasha mein jawab dena chahiye’ that he made prior to winning the elections? Do you have the guts to write an open letter to Home Minister Rajnath Singh asking him as to what happened to his claims of ‘Border se koi chuha bhi nahin ghus sakta’? Maybe if the government had acted on their own claims, those jawans would not have lost their lives today. Also, Soumyadipta ji, I’d like to highlight your attention to another important fact that is very conveniently ignored by so-called deshbhakts like you. Have you ever read about the India-Pakistan trade relations? Do you know that Pakistan is one of the largest buyers of cotton from India? And that India buys cement in bulk from Pakistan? There are many other items that land from this side of the border to the other side and vice versa. According to ICRIER (Indian Council for Research on International Economic Relations), “Informal and indirect trade between the two countries is worth more than $10 billion” (Check out this link)! India has even given the Most Favoured Nations (MFN) status to Pakistan while Pakistan hasn’t done the same to India! I haven’t seen a single so-called patriot ever sharing these facts and outraging over it, forget demanding the government that trade be stopped between the two countries. It is a known fact that such economic blockade might affect Pakistan more than the ‘Fawad Go Back’ campaign. Additionally, further research on this subject shows that blocking of trade might not be a good idea for India. “Any ban on trade will adversely affect the Indian industry more than the Pakistan as the country exports much more than it imports,” says Nisha Taneja from ICRIER (Click here for the article). So is this the other reason India is not putting any blockade as it doesn’t want the economy to suffer? But coming back to the topic, why no outrage over these issues? When onion prices went through the roof, it’s the Pakistani onions that came to the rescue. Did you, Soumyadipta ji,’ tell the subziwallah, “Bhaiyya, sirf Hindustani pyaaj dena?” If no, then why this selective outrage over Pakistani artistes that won’t lead to any practical solution? Hence, dear Soumyadipta ji, I urge you to direct your anger where it’ll make an impact. Urge our government to stop the trade if they are actually serious about solving the feud between India and Pakistan. And if you still feel Fawad should be ousted, then urge the government to give in writing that we cannot hire Pakistani talent. Your anger should be towards the government and it’s ways of solving the issue. Sadly, in our country, our anger always gets displaced. Katrina Kaif gets ridiculed for ‘winning’ the Smita Patil Memorial Award but no word is spoken against the organizers who thought of giving her this ‘honour’. In fact, I am planning to start a Yash Chopra Memorial Award and honour KRK with it. Then I’ll sit back and enjoy as KRK gets gaalis while nobody would raise a finger against me! But coming back to the core issue, please do ponder over my words. I love my country as much as you do. I hope this letter is taken in the right spirit, if it ever reaches you! And apologies if any of my words have hurt you. “Bhaiyya, sirf Hindustani pyaaj dena?” this is epic!!! Fenil who told the son or daughter of an offender goes unpunished while his or her father got the punishment. They have to pass through financial and social crisis. Similarly thsee Pakistani nationals have to face the heat of the Indians. No one is killing them or asking the govt to kill them against their terrorist. Hence this benergy guy is not wrong. Not watching their movie is just a protest and for time being we are asking them to go back to pakistan and explain there these terrorist activities are not good. Pyar to har jagah se aate hain but terror ist khali pakistan se aate hain. Fenil! This is seriously an outburst! A reply in guise to those who don’t dare to go against the system they themselves have developed. An artiste can not be an artiste if he or she is enchained into religious, geographical or political boundaries. You have given a befitting reply. Hats off. U guys have all lost the main issue.India is not against the Pakistani celebrities but this is to stop all forms of cultural activities with them so as to gradually bleed them.Why is it that you fail to understand patriotism? Do we need even one of them in our country when they r killing at our border? They didn’t give visas to Anupam Kher Nd Javed and Shabana for an event— why this kindness towards them.They can now stay home and earn there instead of earning here. And .sending it back home .we have ample talent at home .don’t need to to import it from our enemies! why not stop all forms of trades and economic ties first and then take steps towards curbing cultural relations? because this is a low hanging fruit! how convenient! Dear Poonam…I’m from Pakistan and I’m an artist too. I have to say it saddened me to read your comment above. Isn’t it blatantly clear by now that the govts. of both countries don’t want us people to come together? Whenever something like this happens at the behest of ISI or RAW it is we the people who suffer…we either don’t get visas or some kind of initiative/activity that was to our benefit is stopped and so on. Let us not let them ‘bleed’ US the people I urge you. Enough tragedies have already ruined lives on both sides and broken many hearts. Jai Hind and Pakistan Zindabad! Do not speak this useless rhetoric. Stand up against terror and be with us. What had RAW to do in it. Do not fool us around. If you do not stand up against terror get isolated. Wow Fenil! Sachi mein bajaa daali bhakton ki 😀 Kudos!! One who is not a bakht can only be called a bdbakht. .
Dear Fenil, I have only one question to ask, do these guys pay tax in India on the amount that they earn. You may like to explore that. Are you sure that the money is not being routed to other sources which might be detrimental to our country. Also, is Pak the only country which has talent, have our filmmakers explored other avenues. It’s not a low hanging fruit which can be eaten so as to say, it’s a choice each and every citizen of this country can make. It does not require govt intervention. You and me can simply choose to make this happen. Also I sincerely hope you are aware of the awards wapsi campaign of eminent personalities in our country. Just because he will be targeted hence he should not support us but he can prosper at our behest and with our tacit support, so it is acceptable!!! I am truly amazed by your rationale. As far as writing open letters to our leaders is concerned, kindly use Google and see the number of letters people have written to them. I urge you to not turn this into a myopic version of the issue at hand which is to take small steps which will ultimately result in larger impact on the people of our country and our enemies. Don’t you feel the roles being offered to these artists could be given to one of our brethren.